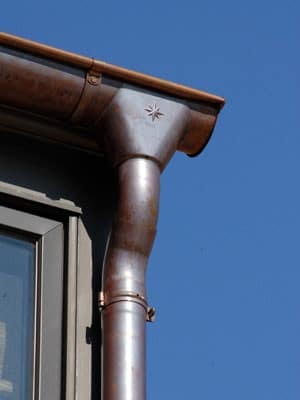 How well do you know your copper gutters? 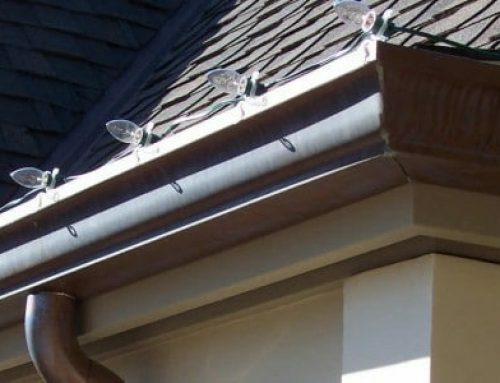 Perhaps you might be thinking about installing a new gutter system, but are concerned over some common myths about copper gutters. We’ve all had our hearts set on something before, but after doing some light research or hearing a few opinions we wrestle with doubt and uncertainty. We think skepticism is perfectly normal and we are happy to say that most of the concerns you might have aren’t worth fretting over. Why? Simply because they often turn out to be untrue. Check out a few common myths below and if you’re still skeptical, why not give us a call and schedule a consultation? We’ll give you the facts and the peace of mind to know that we only provide the best materials that are built to last. Wrong! Believe it or not, copper is actually a green material. 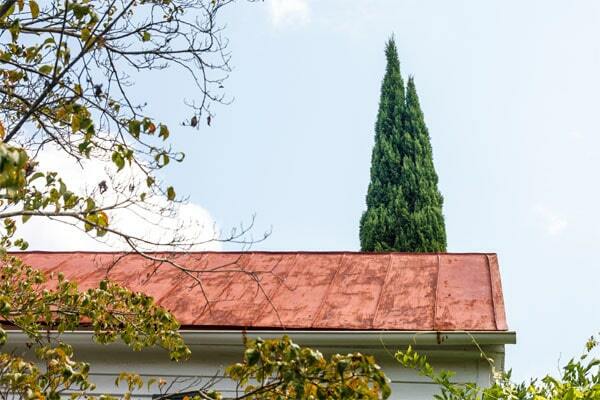 The copper patina is a protective barrier that helps prevent rust or corrosion from the repeated exposure to harsh elements. Apart from this, the material is used in a variety of ways. You won’t ever see it unused or sitting in a landfill simply because it is one of the most recyclable resources out there. Copper is used in architecture, electrical engineering, and even in the health industry. As a building material, this isn’t true. Again, the natural patina develops as the copper ages, thus protecting it like a shell from the elements and allowing for durability. 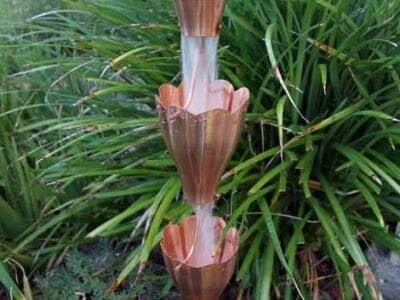 It is also widely renowned for its resistant to wind damage. 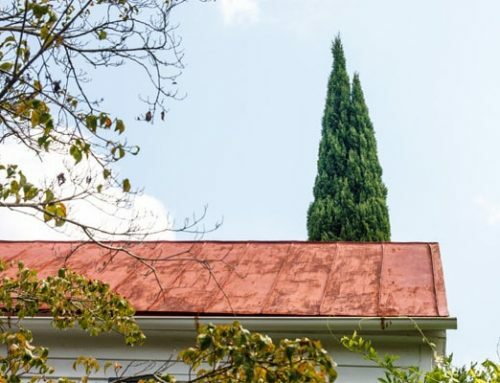 To top it all off, the lifespan for copper is over 100 years, unlike other common building materials such as asphalt which only has a lifespan of around 20-25 years. While it may be true that copper conducts electricity (aluminum does this too), it certainly does not attract electricity. 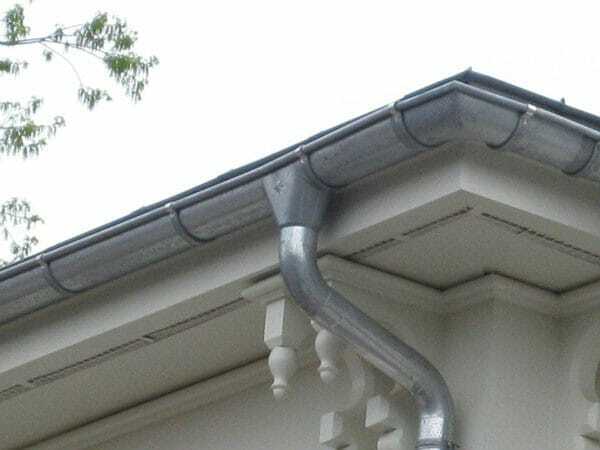 Lightning usually strikes the tallest structure in the immediate area, and in the case of your gutters, it is highly unlikely that they will have attracted lightning any more than other parts of your home. While this is more a matter of opinion and aesthetics, you’d be surprised to know how prevalent and versatile copper is in architecture. It has been used as a building material as far back as the Egyptians and Medieval Europe. It would be difficult to imagine places of worship without copper, since many of them rely on this material for aesthetic purposes. Copper can be seen on some of the world’s oldest architecture on spires and roofs or domes and doors. Italy’s famous Florence Cathedral and Egypt’s Temple of Amen-Re at Karnak feature copper decoration and design throughout the architecture. 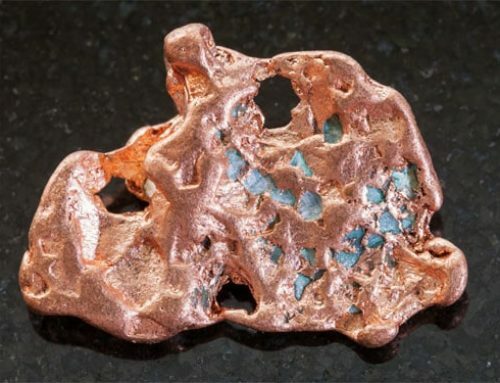 Moreover, copper comes in several different colors, coatings, and textures. Copper also experiences a natural color change over time as a result of surface oxidation caused by moisture in the atmosphere. It typically transitions to a beautiful blue-green, but in more arid climates it has been known to gracefully shade into a nut brown. Many manufacturers sell copper featuring these colors for those who don’t want to wait. To learn more about the benefits of copper gutters, contact Kobett Metals. We have one of the largest in-stock inventories of copper roofing products and materials in the country and usually ship within one or two business days. Copper Gutters Cost: Are They Worth It?